Join the FINN Real Estate team the first Thursday of each month for our happy hour! October Happy Hour Hosted by Patrick Finney! Patrick Finney and The FINN Team team invites you to join their monthly FINN Happy Hour. It will take place this Thursday, 10/4, and you’re welcome to come anytime between 5-7 p.m. to eat, drink, and socialize! Feel free to bring a friend as well! Patrick Finney and The FINN Team Invite You to the June Happy Hour! 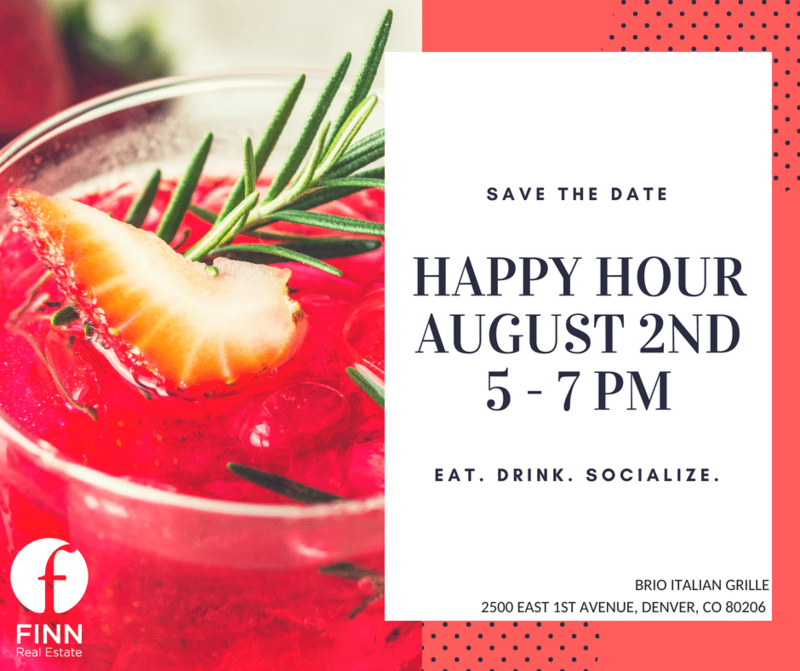 Join us this Thursday, 6/7/18 anytime between 5:00-7:00 p.m. for our monthly happy hour at Brio Italian Grille (2500 East 1st Avenue in Denver)! There will be delicious appetizers, drinks, as well as Patrick and The FINN Team waiting for you! See you then! Join us for Denver’s largest private networking event in the industry! Looking forward to seeing you and your guest at the April FINN Happy Hour on April 6th. Thanks to everyone who came to our February Happy Hour!